Auto Emergencies can happen without notice or warning. 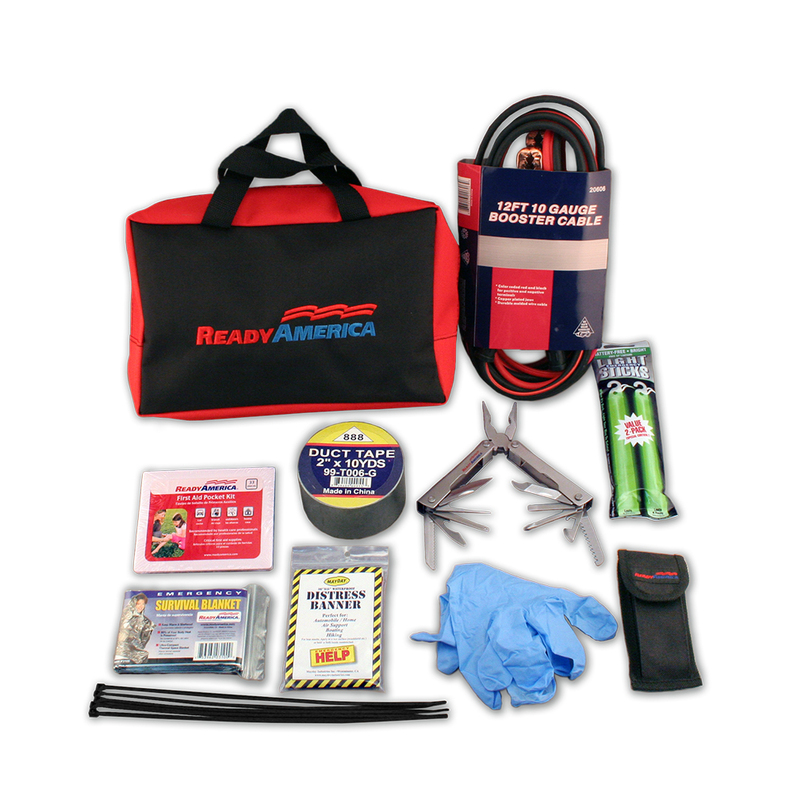 Be prepared with our Ready America Roadside Essential Kit which contain critical supplies for an automotive emergency. Kit includes needed basic supplies such as jumper cables, first aid kit, a multi-tool, and emergency lighting plus more! Convenient carry bag has ample room so you can add more auto repair supplies so you can customize your kit.